Weather in Tamil Nadu continues to be dry with not much change expected in the conditions over the next few days. As we slowly get to the warmer days of the year we will slowly get to see the temperatures inching up for both day time and night time. 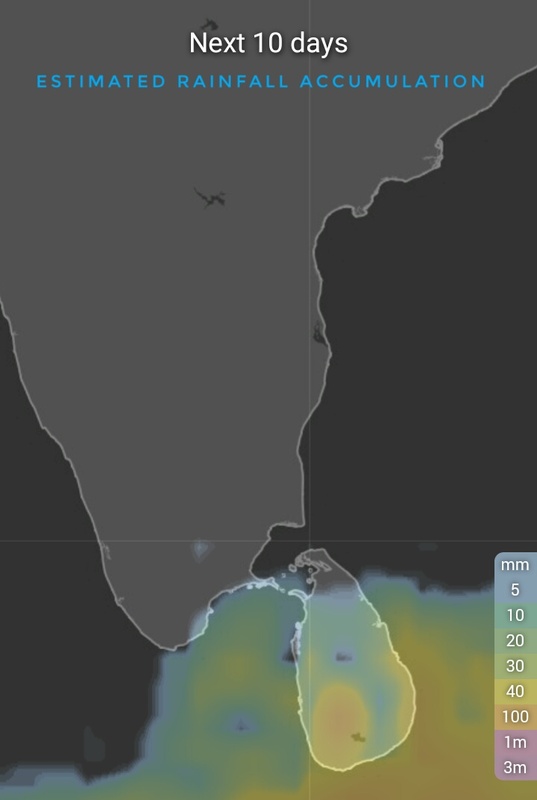 As one can see from the accumulated rainfall estimation chart things are unlikely to me much on the rainfall front as far as Tamil Nadu goes. While there exists a trough of low at mean sea level around the Andaman Region which could give some rains near the islands it is unlikely to influence weather in the sub continent. Chennai will continue to see warm day conditions with day time temperatures in the region of around 31 / 32°C while the night time minimum will settle around 21 / 22°C in the city areas with suburbs cooler by a couple of more degrees.